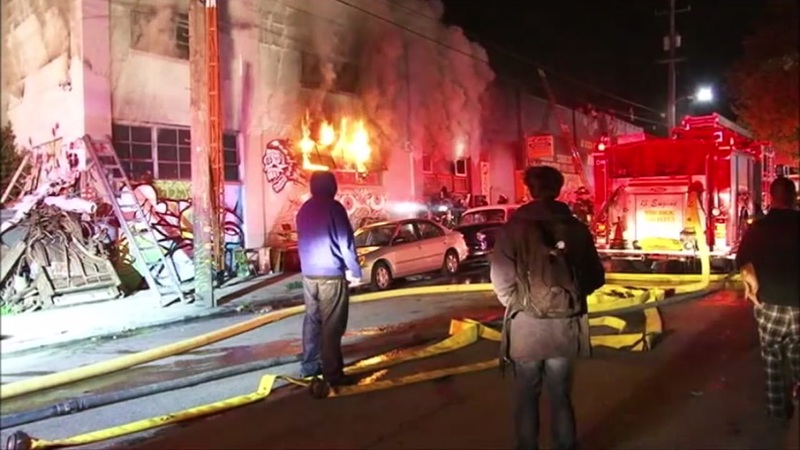 OAKLAND, Calif. (KGO) -- Smoke inhalation caused the deaths of all 36 victims in the Ghost Ship Fire in Oakland. The Alameda County Medical Examiner says burns or other injuries did not play a role in their deaths last year. The victims were unable to get out of the burning warehouse with several illegal living spaces inside during a party. Investigators have still not announced what caused the fire or any potential criminal charges.